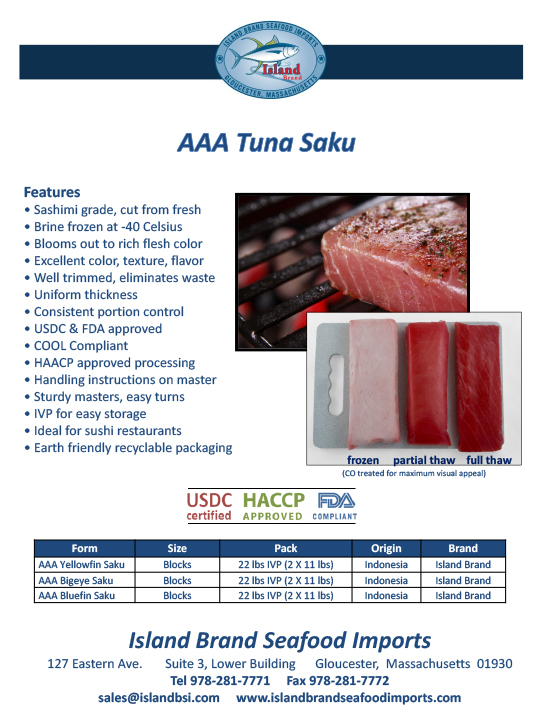 We offer brine frozen Yellowfin Saku, Bigeye Saku, and Bluefin Saku. Brine Frozen sushi tuna is firm, moist and more flavorful. The best sashimi tuna is brine frozen. Check out our Tuna Confit recipe.